Coming up with blog titles and topics can be a struggle. Most small businesses aim to publish blogs 3-10 times a month and then use these blog articles to populate everything from newsletters to conversion funnels. When you publish content on a regular basis it’s easy to burn through your initial list of blog titles in a few months. Coming up with good titles also takes a lot of time, and when you work on a team defining what’s “good” becomes subjective. Because regular blogging has such a positive impact on inbound traffic, the process of coming up with ideas shouldn’t be a burden. 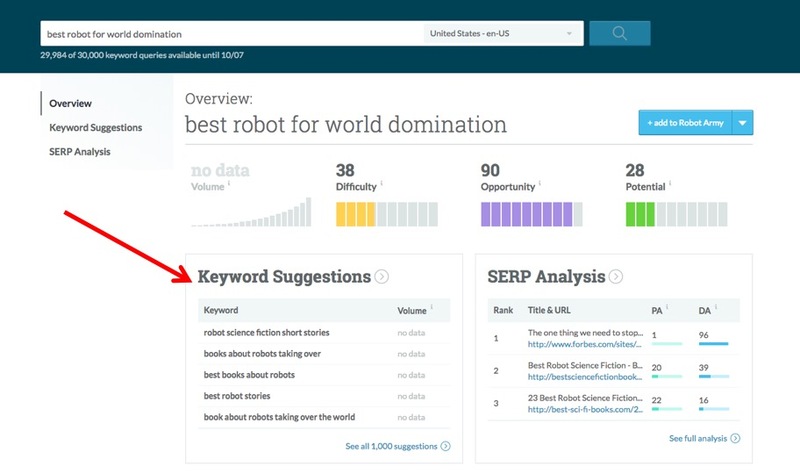 Never worry about blog topics again: I’ll show you how to generate 100+ long-tail blog title ideas that include estimates of search volume and competitiveness. Before jumping into how to generate 100+ blog topics quickly, let’s discuss the importance of having good titles. I think of blog content development as having two parts: blog articles that form the core of my SEO or inbound marketing strategy, and a backup list of blog ideas I can pull from in a pinch. Both types benefit from having great titles. Your posts should answer common/valuable questions. They should focus on your target buyer’s search intent. They should tap into sufficient organic traffic to make them worth blogging about. When it comes to generating a great backup list of blog topics quickly, it can be hard to identify titles that meet those criteria without succumbing to clickbait. 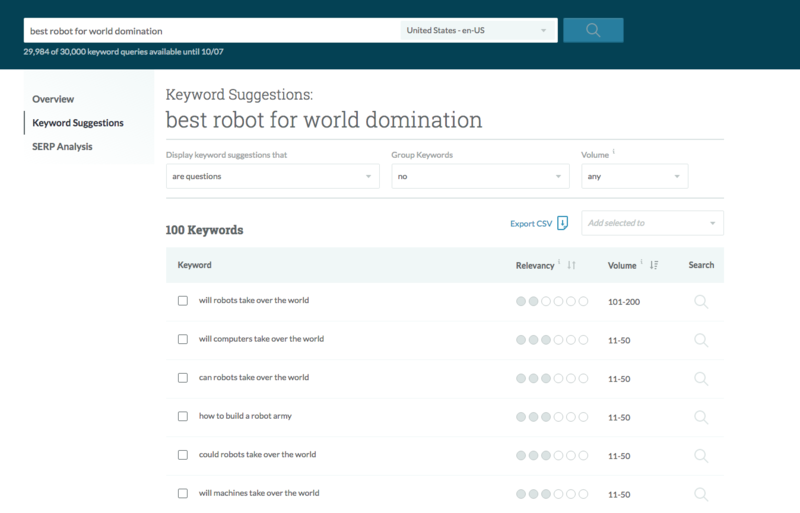 There are several blog title generator tools available, but I find that they tend toward clickbait or “catchy” titles that are more useful for paid channels rather than the long-term value expected from organic search. It should come as no surprise that there’s been a backlash against clickbait titles recently. I recommend against using traditionally clickbait titles since they often result in only one type of beneficial metric: page views. To positively impact both search rank position and on-site conversions you need to focus on valuable content that delivers high engagement measured by things like better-than-average time on page, good page depth, and low bounce rates. Clickbait titles and content generally do not provide this. Okay, so let’s take a look at a quick way to generate blog titles. Read it, try it, and time it. On the Overview page, click on Keyword Suggestions. Here’s your list of potential blog titles for your topic. Note: The “Relevancy” column shows how closely the search term matches the initial query you used, and the “Volume” column displays estimates of monthly organic search traffic. 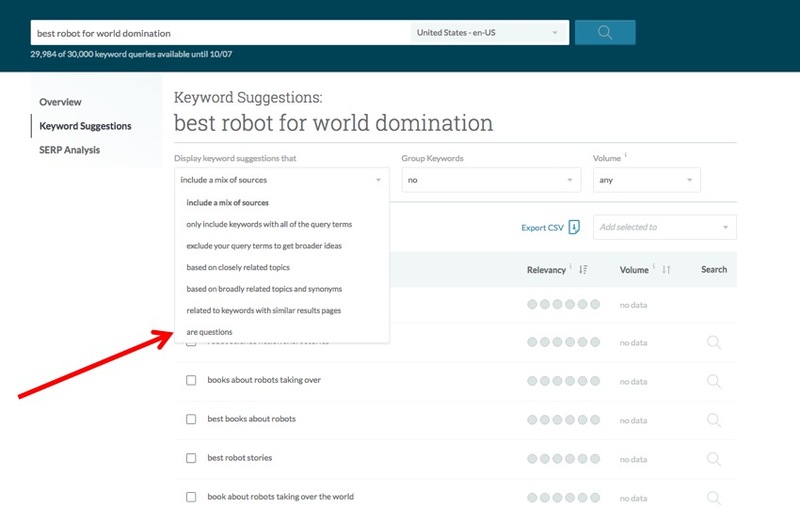 Access Difficulty and Opportunity scores for your search queries by selecting all the relevant check boxes and clicking the “Add selected to” drop-down to create or add them to a Keyword List in Moz Pro. (Rand put together a great presentation on how to do this.) In the Keyword List, you’re able to view, segment, and sort your blog titles by all the factors available in the Keyword Explorer Overview. Boom! There you have it. Never hunt for blog titles again. 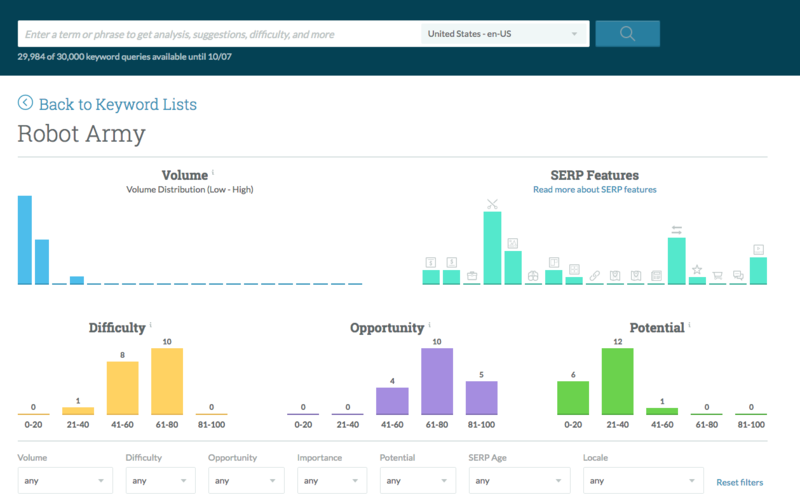 You’ve created a list you can choose from in a pinch, knowing you have quality titles based on search volume, difficulty, and opportunity. See how fast you can create a great list of blog titles! Look for trends in the questions people ask. Do most questions center on a specific pain point, such as cost, quality, or ease of use? Consider segmenting your users based on these different pain points and their associated value drivers. Find the “best question.” In your list of blog titles, look for the one question that best aligns with your target customer. Then run a Keyword Explorer query on that question by selecting the magnifying glass icon on the right side of the webpage. Often, these results will display an even longer, more targeted list of questions to choose from. Hope this helps your blogging efforts! Tell us about your experience using Keyword Explorer to generate targeted blog titles. 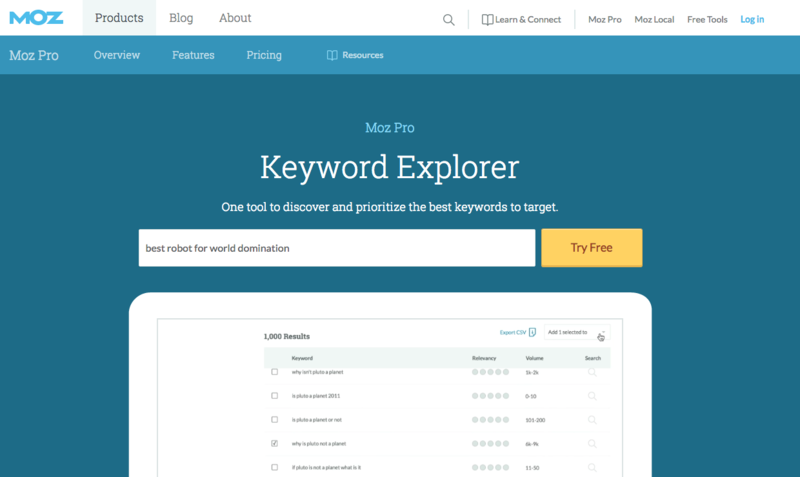 If you want to keep mastering keywords and blog titles after your Moz Pro free trial ends, check out Moz Pro Medium or Keyword Explorer standalone subscriptions.